After hours of testing and research I’ll show you the BEST baseball gloves. I break it down by category. Here is what we cover. We have reviewed hundreds of gloves on this site. 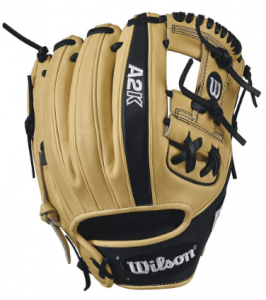 Generally, we have categorized them by brands like Wilson, Rawlings, Easton, Marucci and so on. We also have spent considerable time on our batting glove review section. Where to Buy Baseball Gloves? 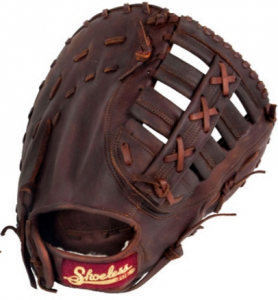 There are a number of legitimate outlets where you can purchase baseball gloves. Of note, most people end up buying a glove in a brick and mortar store. They want to touch and feel the glove. This makes some sense. However, the limited supply and price points of brick and mortar locations often produce a sub optimal result. We highly recommend online glove buying. And reading our glove reviews is a helpful step. After you decide on a glove, we suggest you look closely at places like closeoutbats.com and justballgloves.com. As well, eBay’s glove section as well as Amazon’s baseball glove section are worth a look too. Most new gloves from major manufacturer require no less than a some determined minimum price. So, if you are buying a newer glove from a legit retailer you can expect to pay the exact same anywhere. I think the Wilson A2000 1786 is the best glove on the market. Some will argue that the Heart of the Hide brands from Rawlings are better. No doubt we like those. But, we think the 1786 fits every bill we we ever wanted. And the H web design on this middle infield glove will work for any level. It is, without surprise, Wilson’s most popular glove too. the 11.5 inch length makes the perfect size for the traditional short stop. In addition to that ideal size, it also accommodates the many who play 2nd or 3rd. 11.5-inches really is the universal infield glove size. Further, the I-Web design, clearly the most popular among infielders for its look, creates a more shallow pocket and the wider reach. Those are features infielders tend to prefer. As well, A2000 gloves also boast a top shelf leather with a great out of the wrapper pocket shape. Note, too, the A2000 1786 may be the most popular single pattern on the market today. 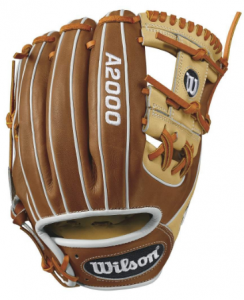 You will be hard pressed to find any serious team at any level of the sport that does not carry at least one 1786 Wilson A2000. The top shelf adult 11.25 inch ball glove market, made specifically for elite 2nd baseman, is replete with a number of solid options. On the top of our list is the 1788 A2K. This is the smallest glove in the entire line of adult elite gloves from Wilson and still boasts all the great features the A2K line uses. We love the soft leather feel and the perfect out the wrapper shape. The I-Web makes for a shallow pocket and a flatter glove for great side to side reach and easy ball access. The rolled finger welting adds to the premium feel and the synthetic wrist backing makes for a cool feel even during hot days. We have yet to meet anyone that has put on an A2K 1788 and thought the glove was not outstanding. The 1788 A2K is used at every level of the sport. For all the same reasons we love the 1786 Wilson A2000, the Heart of the Hide 314 Rawlings Dual Core is one of our favorites. In fact, it is hard to make the case this Rawlings 11.5 inch middle infield glove is any different than the A2000 1786. Both use top shelf leather, have a fantastic name brand and are used at every level of the sport. In fact, at the MLB level, the Heart of the Hide models are at least a little bit more popular than the A2000. The 314 also comes in a number of options that can be customized on the Rawlings Custom site. Often, Rawlings offers this model in a number of one-off color options or a small offering of unique version gloves like, for example, a spring training offering. As well, almost every year this 314 glove is updated with color scheme and maybe a feature or two. This section might as well be titled the best 11.75-inch glove instead of the Best 3rd baseman’s glove. Since most consider the 11.75 length the ideal third baseman’s glove we simply make our choosing easier by limiting the category. And while there are a number of 3rd baseman happy with an 11.5-inch or even 12-inch glove, we think the 11.75-inch Pro Preferred Rawlings Wing Tip in the 205 pattern is the best 3rd baseman’s glove on the market. Of course, with each selection on this page, the categories are tough to narrow down. Several companies, including Marucci, Wilson, PRO44, Nokona, Shoeless Joe and a host of others make really good 11.75 gloves. We further narrowed our list by considering only those with the I-Web. This is a debatable topic as many 3rd baseman, especially at elite levels, prefer a single or dual post design on their hot corner glove. Those web designs make a bit of a deeper pocket. But, they also provide more durability for grounders that are usually smoking. In the end, though, we thought the utility gained from an I-web that can also be used at short stop and 2nd enough to give the 205 Wing Tip the edge. The value infield glove space absolutely DRAWFS the infield premium glove space. As such, deciding on the best infield glove with a value price tag is more controversial as it boxes out a number of great gloves. The Gamer series from Rawlings and the A1K group from Wilson, to name a few, offer really great gloves at less than ridiculous pricing. We liked the Easton MAKO Legacy glove better than the others for its soft leather smooth look. It also fit the bill of a popular 11.5-inch pattern with an I-web. And by “better” what we really mean is we liked it at least as much as anything else tried. Of course, with each selection on this page, the categories are tough to narrow down. Several companies, including Marucci, Wilson, PRO44, Nokona, Shoeless Joe and a host of others make really good 11.75 gloves. We further narrowed our list by considering only those with the I-Web. This is a debatable topic as many 3rd baseman, especially at elite levels, prefer a single or dual post design on their hot corner glove. Those web designs make a bit of a deeper pocket. But, they also provide more durability for grounders that are usually smoking. In the end, though, we thought the utility gained from an I-web that can also be used at short stop and 2nd enough to give the 205 Wing Tip the edge. There are several great catchers gloves on the market. Our favorite is the Wilson Pudge glove. It consistently gets the best ratings across multiple sites, comes with a great brand name we love the back hand webbing. The fit is perfect for a normal sized hand and the pocket depth is right where most of our catcher’s wanted it. Give yourself a few months to get this thing in game shape. They come rock solid. But, expect it to be able to take a beating and last you several good seasons. Yasiel Puig YP66 Wilson A2000. We are the very first to admit that there are several very good outfield gloves on the market today. If your eyes are closed then most top end, high quality leather gloves are very difficult to distinguish. In otherwords, despite our claim that this article is revealing the best outfield gloves on the planet we are far from convinced that elite players have several elite options. Tannery are Rawlings’ mainstays and a passion for many a glove fan. You can see our full Rawlings 12.75 glove review here. Bryce Harper’s Rawlings Heart of the Hide 13-inch outfield glove is likely the best selling outfield glove in the history of the world. Do note, it does come in other design colors than red. This is much like the 3039 from Rawlings but giving you the extra 1/2 inch. It is meant for very large and strong people or those who think they are. We would guess several softball players might like this one too. This glove stands as our favorite 13-inch outfield glove. For some other ideas in this space, see our full Bryce Harper Glove Review here. If you want a great glove but don’t want to spend a great amount of money, we suggest the Mizuno MVP PRO in a 12.75 inch. It usually runs less than $100 and comes with the same patterns that many elite outfielders use. It does cut some corners on leather quality and palm lining but you can line your pockets with the $150 you just saved. We have spent considerable time with a number of youth baseball gloves. There are legitimate options. If we were asked to come up with a single best youth baseball glove for an 8 year old, we would choose the Nokona Alpha Select S-200. The glove is made for small hands and has amazing user ratings that confirm our opinion from first hand experience. It comes with a pliable buffalo leather that kids love. Although not cheap, we recommend the glove to any 8 year old youth player looking to make a difference. In fact, any 7, 8, 9 or 10 year old would do quite well with this glove. Our best infield glove article has other glove suggestions. 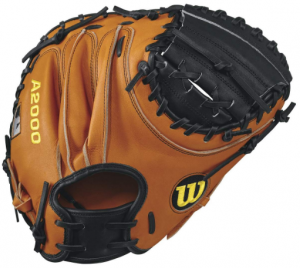 The Nokona Alpha Select S-200 is the best youth baseball glove on the market. The only thing it does not have going for it is the price. But, in terms of a game ready, quality leather mitt made for a youth size hand, you cannot go wrong. The glove is made of American Buffalo hide (aka bison) and is very soft. It is super easy to work in and holds its durability quite well. We have yet to find a user review of the S-200 that was not glowing. We also like the reinforced T-Web on the 11.25 inch glove. This design is for anywhere in the field. 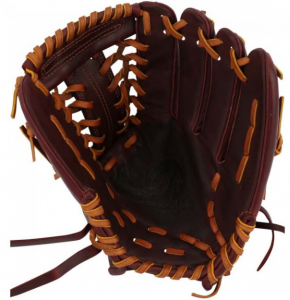 It is nice pitcher’s glove, an outstanding middle infield glove and can be used in the outfield, too. In fact, for small enough people, we would guess the glove would work at 1st base as well. The glove’s wrist strap comes threaded at the larger of the two options. But, even at that setting, the glove is a tight fit for a normal sized small hand. As the glove gets worked in, expect that to loosen a bit. For the very small hand of a 6 or 7 year old, you may want to re-thread the glove to the smaller setting on the wrist strap. Not a far cry from the S-200 Nokona stands the A1K from Wilson. These gloves are, essentially, a modified A2K or A2000 Wilson glove. They do not have the same premium leather as the A2K or A2000, but instead, the steerhide they use is worked in to be soft and nearly game ready out of the wrapper. What the A1K does have over the Nokona S-200 is a serious amount of color and pocket options. Though we like the 1788 11.25 inch H-Web the most for smaller hands, the A1K also comes in a series of other patterns and lengths. If a modified T-Web in an 11.25 is not for you then we would suggest the A1K. And the best news of all? It costs about $30 less than the Nokona S-200. If you are on a budget, or would rather not spend your hard earned money on a glove that will be outgrown quickly, we suggest the Rawlings Gamer. This glove is built much like the A1K in terms of decent, but not outstanding leather. But, with the intent to be used for only a year or two before it is outgrown, the glove makes perfect sense. Also like the A1K, and not like the Nokona S-200, the Gamer series from Rawlings comes in a number of options and patterns. We like the 11.5 inch G200GYT for its modified T-web. T-Webs are good for every position. Best news of the day is that the Gamer series from Rawlings are rarely over $100. This is a considerable savings from the A1K and S-200. You do lose a bit of quality in the leather as it is a step down from premium american buffalo hide. But, for a glove only meant to last a year or two, who cares? There are several options in the first base space. Of course you could settle happily for an A2000 with Miguel Cabrera’s MC24 mitt. That’s a solid choice. But, we wanted to choose something a bit off the beaten path. Take, for example, Shoeless Joe’s 1st base glove. The 1200 from Shoeless fits great, feels perfect and looks just like it should. We like the long T-web. It gets great ratings across the board. In so many ways it is the perfect 1st baseman glove. 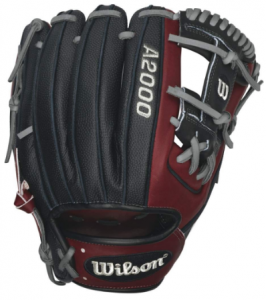 Those looking for a serious glove and considering Wilson’s A2k or A2000 line will really like the 1200 from Shoeless. the best youth baseball gloves. Who Makes Youth Gloves? Many manufacturers make youth baseball gloves. Wilson, Rawlings, Marucci, Nokonoa, Louisville Slugger, Easton, Akadema and several others produce youth baseball gloves. What Gloves to the Pro’s Use? Pro baseball players tend to use quality gloves from a few select manufacturers. Rawlings is currently the most popular MLB glove brand. Wilson is next. After that, several brands have play in the majors. That includes groups like Louisville Slugger, Marucci and Nike. wanted a quality glove but wanted to spend less than $100 we would suggest the Rawlings Gamer in an 11.25 or 11.5 inch pattern. glove. We were not as concerned with color and look as we were with functionality, but we were naturally more attracted to impressive looking gloves. their hands. The A2000 rules the roost and for good reason too. It has a reputation for fantastic material, a great break in and a durable nature to last you for years and years to come. some time on our best infield gloves article. Although a different topic, the idea behind the search and criteria were a good reminder. The fact an A2000 won that category as well gave us a little pause in terms of our bias meter. But, in the end, these gloves were our favorites. “GloveDigest.com is a participant in the Amazon Services LLC Associates Program, an affiliate advertising program designed to provide a means for sites to earn advertising fees by our readers clicking on links to Amazon from our site."